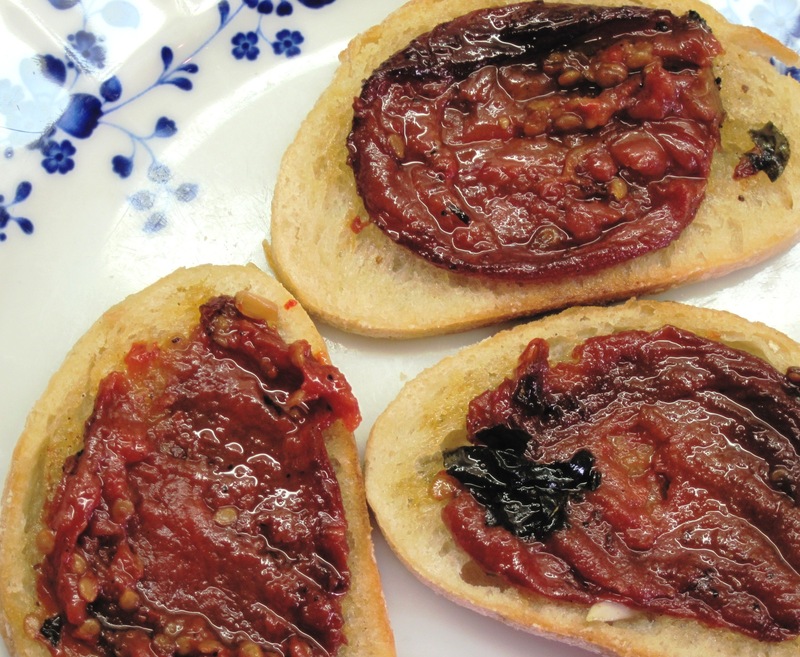 Oven-Roasted Canned Tomatoes is a wonderful recipe from Lynne Rossetto Kasper’s The Italian Country Table. 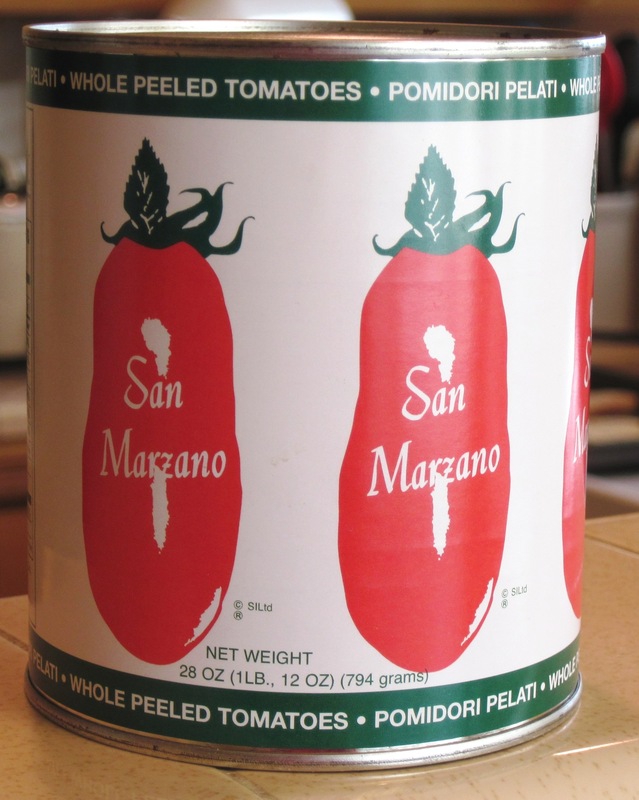 Who knew canned tomatoes could taste so great? Once they’re roasted, you can use them any number of ways. 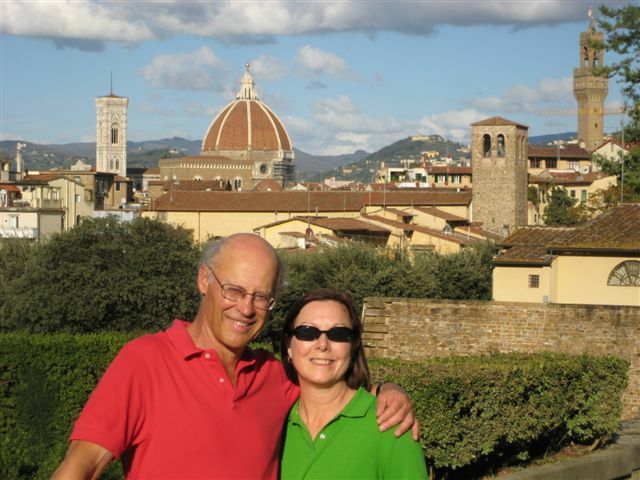 Lynne suggests eating them on bread or bruschetta, tossing them with pasta; or using them in salads, bean dishes, risotto….the possibilities are endless. The recipe calls for two 28-ounce cans of tomatoes. That may sound like a lot, but keep in mind that they cook down a lot. You can cut the recipe in half, but every time I’ve done that I’ve been sorry. Next time I roast the tomatoes, I may try it without the garlic to have basic roasted tomatoes on hand. I got the tomatoes in the oven this morning, toasted some bread and had lovely Tomato Bruschetta for lunch! 2. 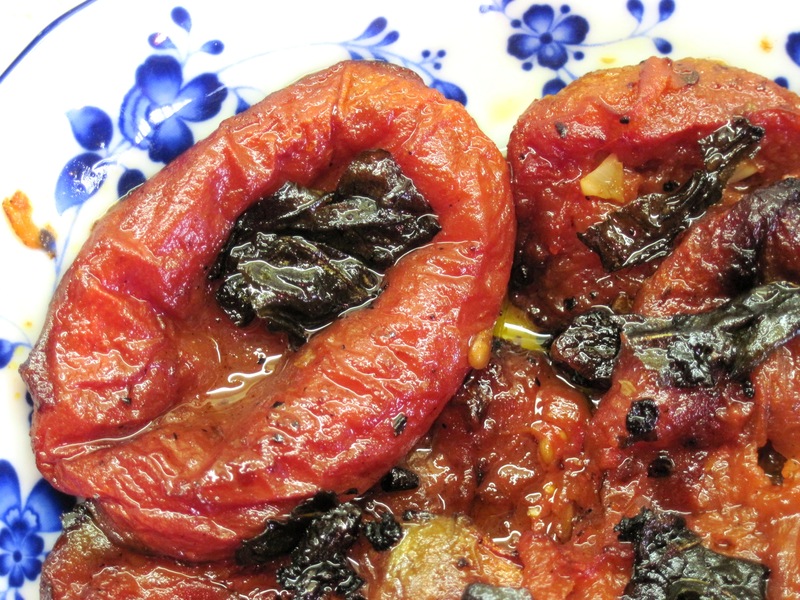 Place the tomato halves on a large rimmed baking sheet. 3. 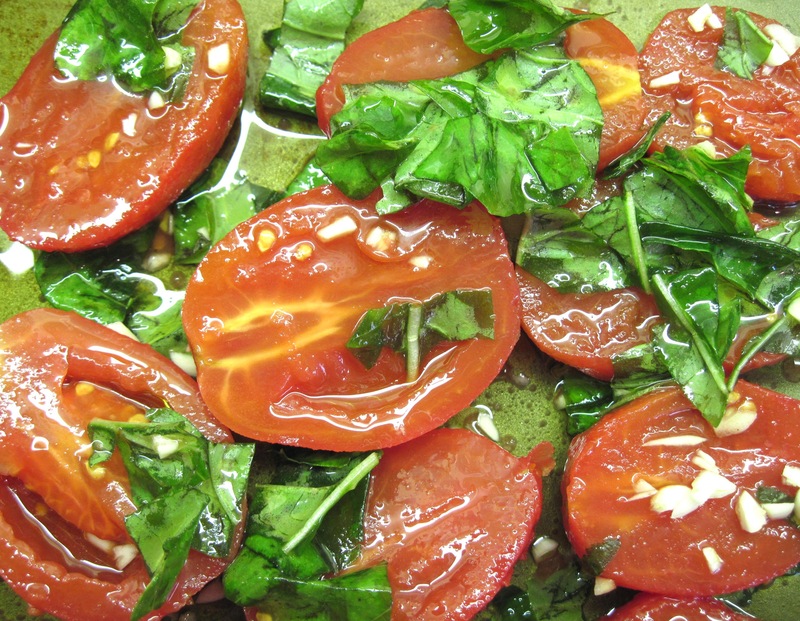 Drizzle the olive oil over the tomatoes and sprinkle with the basil leaves and garlic. Stir gently so everything’s coated with oil. Sprinkle lightly with salt and pepper. 4. Roast in the oven for 2 – 2 ½ hours, stirring about every half hour. It’s best to let them rest at room temperature for a few hours, but they were awfully good right out of the oven! The tomatoes keep in the refrigerator for 4 days, or you can freeze them for up to 3 months. Heat the oven to 400˚. Slice bread into ½-inch slices. Brush with olive oil. 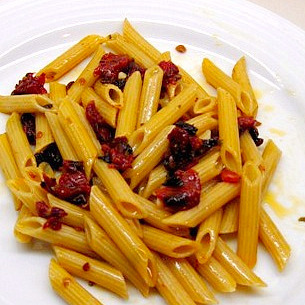 (Today I used the flavored oil from the roasted tomatoes.) Spread the slices on a baking pan and toast for 8 – 10 minutes, until lightly browned. Cut the garlic clove in half, and rub each piece of toast with the cut side of the garlic. 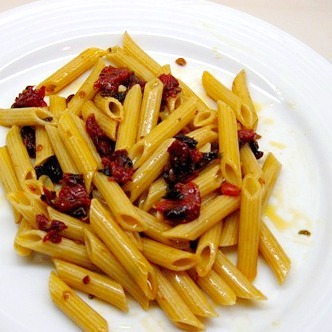 I made 1/2 of the recipe for Oven-Roasted Canned Tomatoes; I cut them into smaller pieces, and tossed them and all of the wonderfully flavored olive oil with 5 ounces of cooked penne for a great pasta dinner for 2! It was so flavorful and needed no other ingredients. Mmm, those look tasty…and easy! They really are good! And much more flavorful than the results you would get from the sad fresh tomatoes that are available this time of year. Made these for dinner tonight, and Byron, who is NOT a tomato person, said he just couldn’t get over how delicious they were! They’re like CANDY when they’re roasted this way!